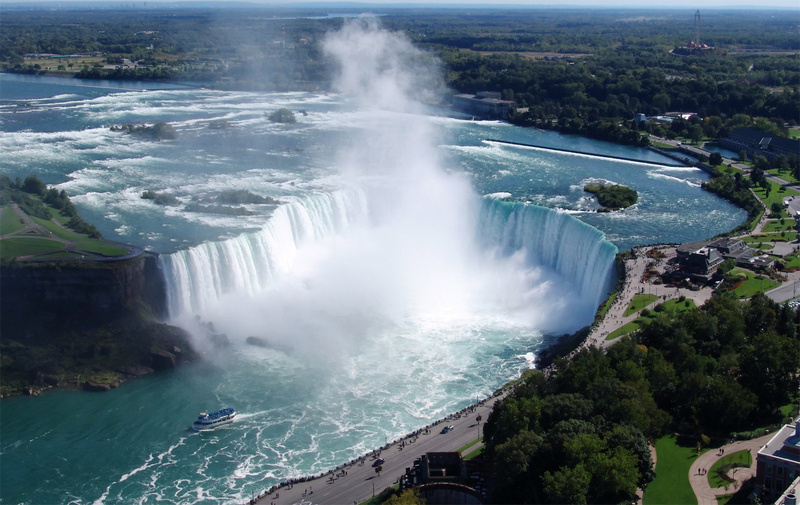 Visiting Niagara Falls and witnessing the thundering row of the falls and its beautiful surroundings is probably a MUST DO for visitors to Toronto, Ontario. Taking you there is what WE DO. Skyway Coach Lines is committed to making your trip an unforgettable experience. From the moment you set foot in our luxury Coach, you would feel the difference of a first class Tour Operator. Our Certified Tour Guide would welcome you onboard followed by a warm breakfast being served. We are in fact the first to offer such a concept. Once we start our journey, the Tour Guide would point out places of interest on our way to beautiful Niagara Falls, keeping you entertained. Once in the region of Niagara, we start the tour, by driving through Niagara On the Lake – a beautiful scenic drive with a quick stop for some picture taking. After which we’ll proceed to the falls stopping on the way at beautiful Queenston Height, Hydro-electric Dam, Floral Clock, and Whirlpool Rapids. After a great time at the Falls, we proceed to the famous Niagara Winery where you would get to sample the different wines from Niagara. We then board the bus for our return to Toronto.